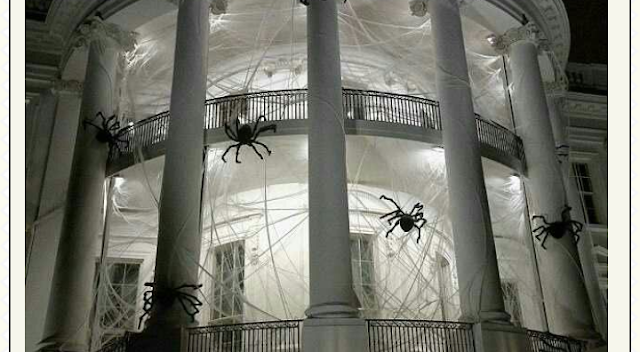 The White House has had a haunted makeover ahead of it's Halloween celebrations. Giant spiders and massive cobwebs have taken over the exterior of Donald Trump's home to transform it into a spooky haunted mansion. The web of decorations were put up on Friday ahead of the First Lady's Halloween event for trick-or-treaters.